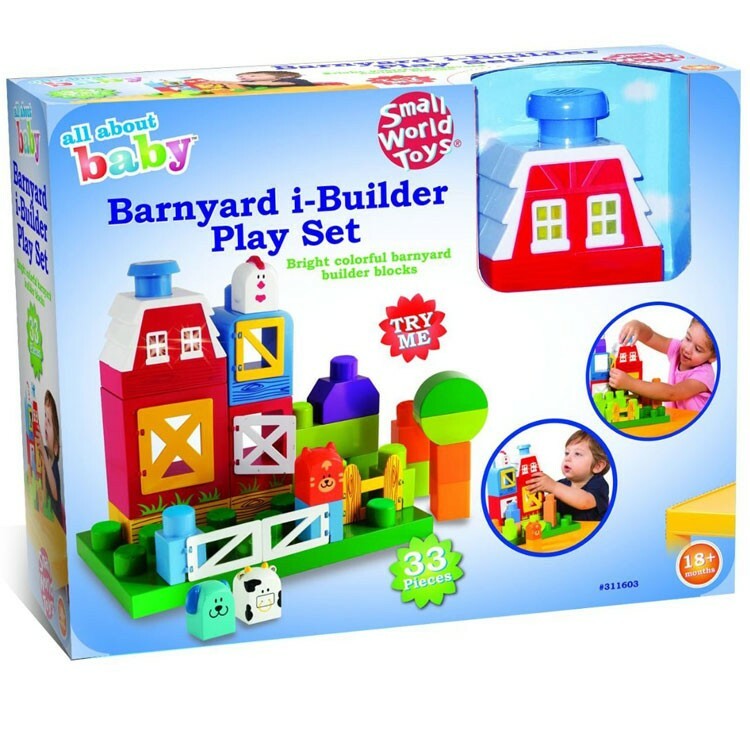 This i-Build plaything is a toy barn, first building kit, manipulative activity center, light & sound toy, and toddler pretend farm set - all in one! 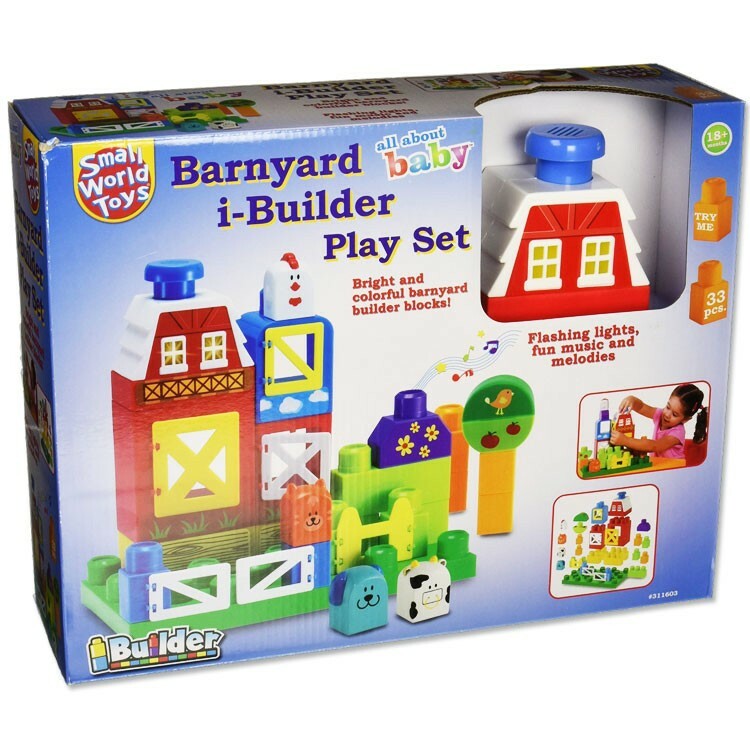 i-Build, i-Play, i-Learn! 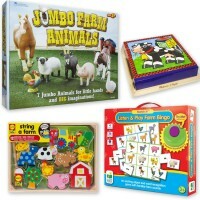 This new farm themed playset is a toy barn, first building kit, manipulative activity center, light & sound toy, and toddler pretend farm set - all in one! Toddler Barnyard Build & Play Farm Set includes 33 bright color stacking blocks that will create a playfully detailed barnyard and 4 stacking farm animal blocks. 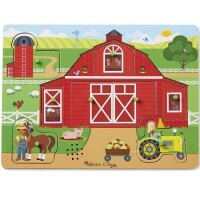 Stack the building blocks and construct the red animal barn with opening windows, doors, fence, trees, and more. 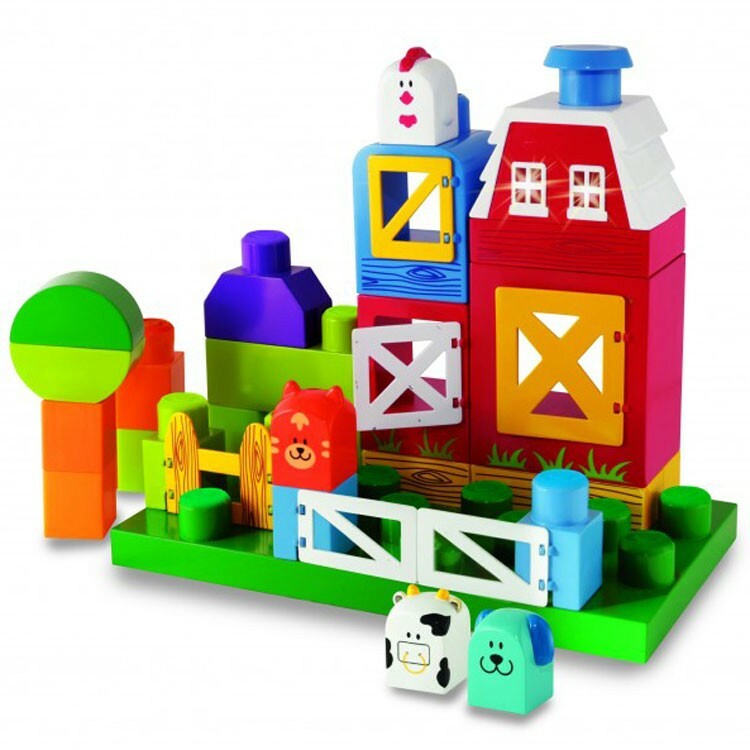 The build & play barnyard from Educational Toys Planet features flashing light, fun sounds and tunes. 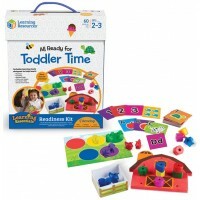 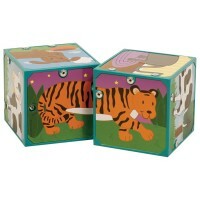 All these play features are designed by Small World Toys for the little hands and big imaginations. 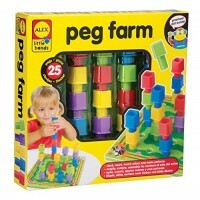 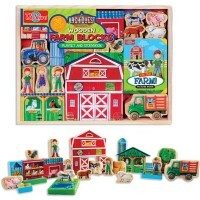 Toddler Barnyard Build & Play Farm Set is a terrific farm themed toy for the youngest builders. 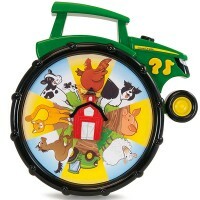 The toddler farm playset requires 2 AAA batteries (included). 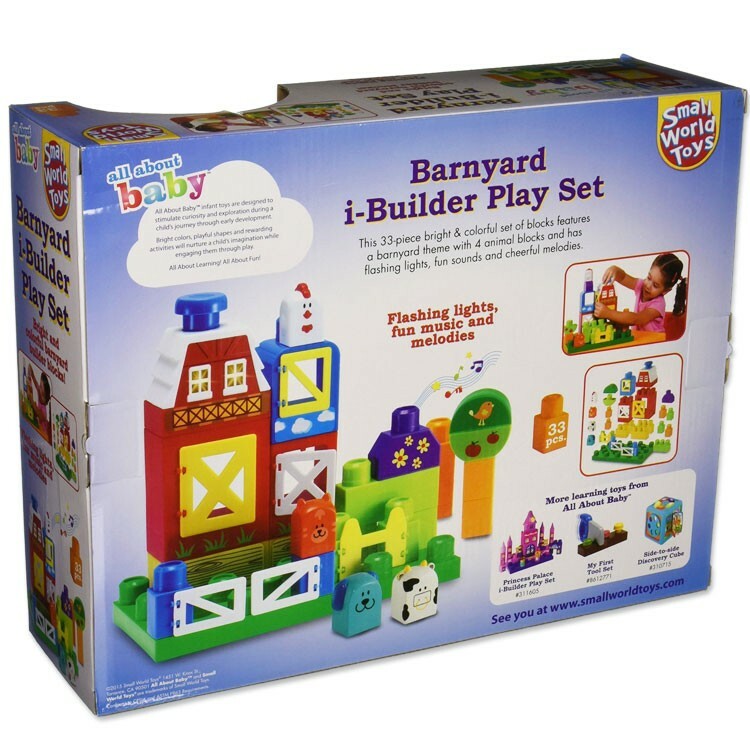 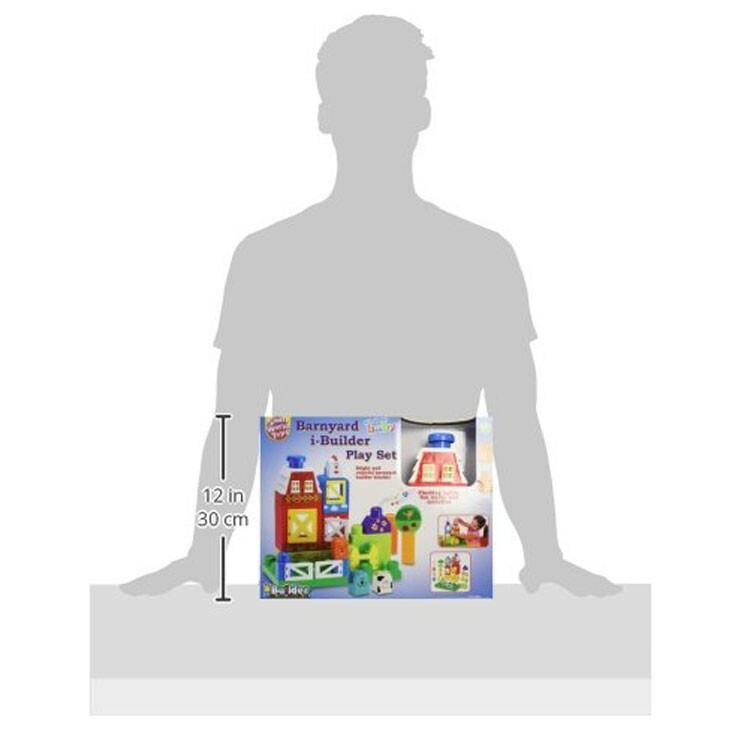 Dimensions of package 4.25" x 11.25" x 14.5"
Write your own review of Toddler Barnyard Build & Play Farm Set. 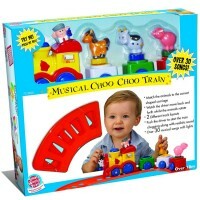 Rating: 5 Good toy! 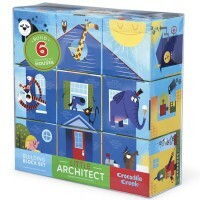 by Jennifer, TX My son loves this product!